Piazza del Duomo - Principia – Rooms and Substances of the Next Arts exhibition. 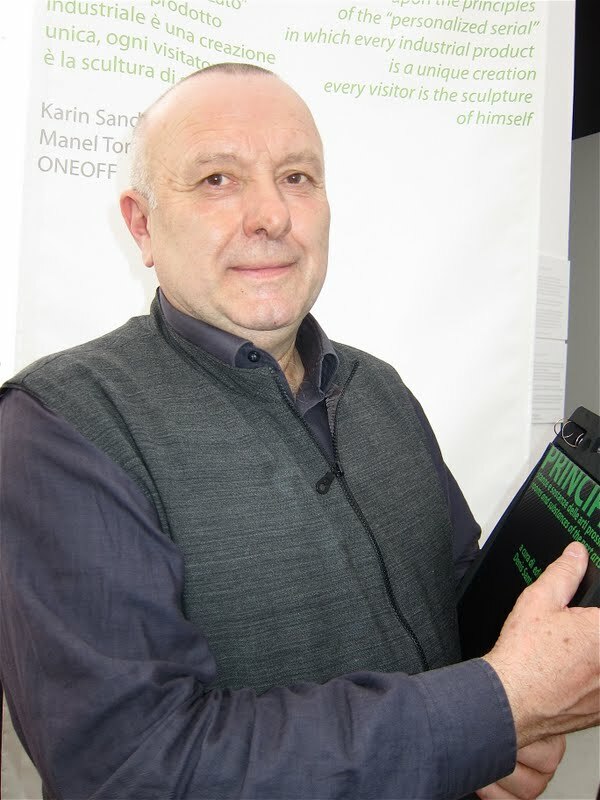 The ambitious 2011 project entitled “Principia – Rooms and Substances of the Next Arts” conceived and curated by Denis Santachiara (in the photo) in collaboration with the Solares Fondazione delle Arti, involved erecting a “molecular” pavilion in Piazza Duomo, split into 8 rooms – each of which represented a principium rooted in science, as a trigger for creating audio, visual architectural and industrial works of art. “Principia” is not an exhibition based on the relationship between art and science; it puts the accent on creative potential channeled through scientific principles as the source of artistic output. The ultimate aim is the revolution of language as aesthetic stupor, generating anew the sort of emotion triggered by one of Canaletto's vedute, yet without necessarily understanding all the generating principles of perspective. “Principia” is the art, design, architecture, music, fashion that could all be sparked, it is not the point of arrival of creation but its point of departure. 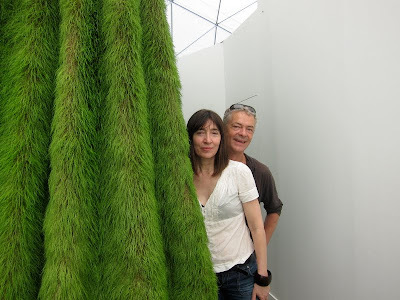 Second Nature Room – works that through bio and biotech principles propose other natures. A detail of the Shroud 2010 sculpture in grass, jute and wood made by Ackroyd & Harvey. Second Nature Room. 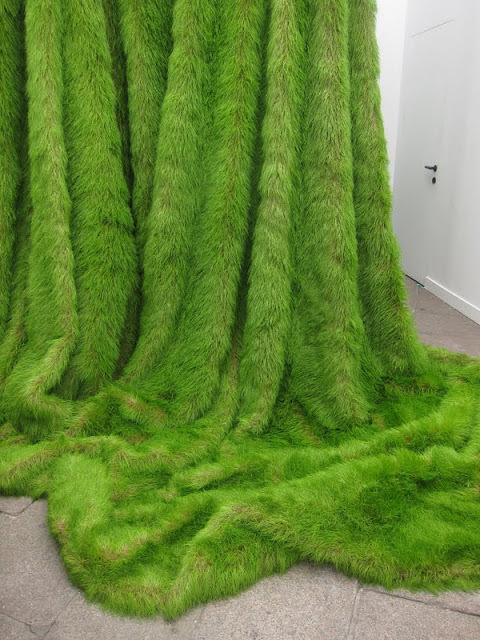 By Shroud 2010, Heather Ackroyd and Dan Harvey. No Norm Room – authors propose the principles of augmented reality as non-coherence of space. 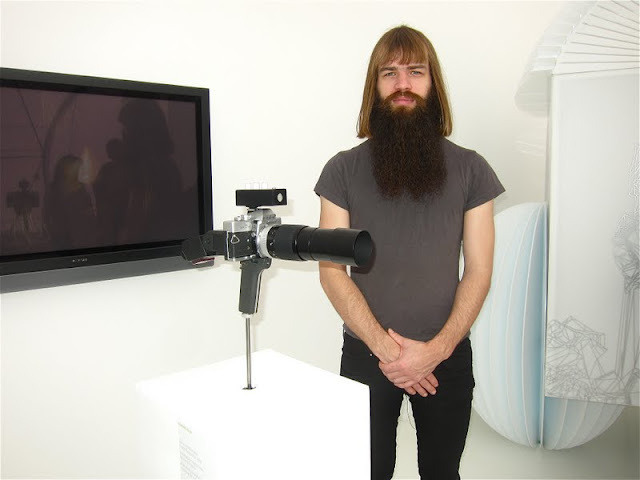 Julius von Bismarck stands by his Image Fulgurator 2008, which is a device for physically manipulating photographs. It intervenes when a photo is being taken, without the photographer being able to detect anything. The manipulation is only visible on the photo afterwards. Personal Factory Room – production of works upon the principles of the “personalized serial” in which every industrial product is a unique creation every visitor is the sculpture of himself. Dr. Manel Torres and his models are wearing Fabrican Spray-on fabric which he developed. It is applied instantly the non-woven fabric in natural or synthetic fiber adheres to wet or dry surfaces. It is dispensed from an aerosol can or spray gun and is useful for industrial, commercial medical and domestic uses. It also supports fragrance, color, texture and pharmaceuticals and can be re-used and recycled. No Gravity Room – works that research the principles that oppose gravity. 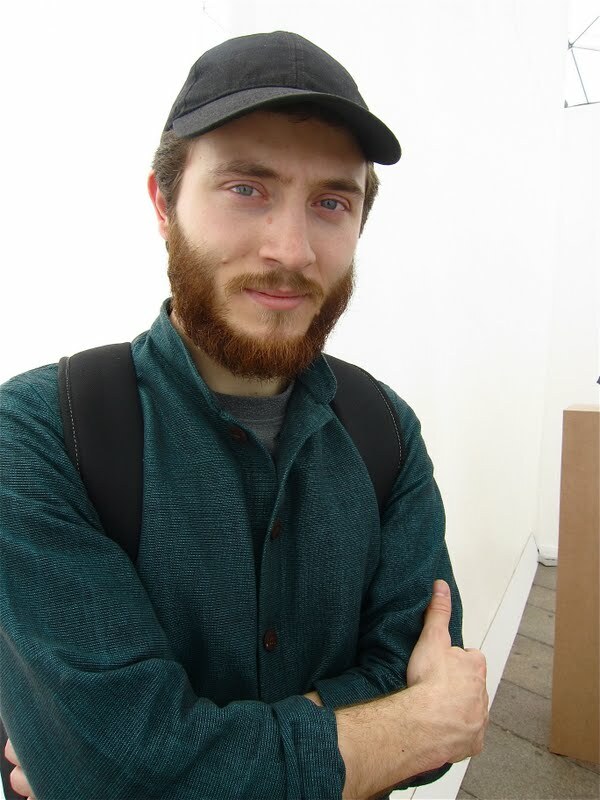 Luca Pozzi. No Gravity Room. 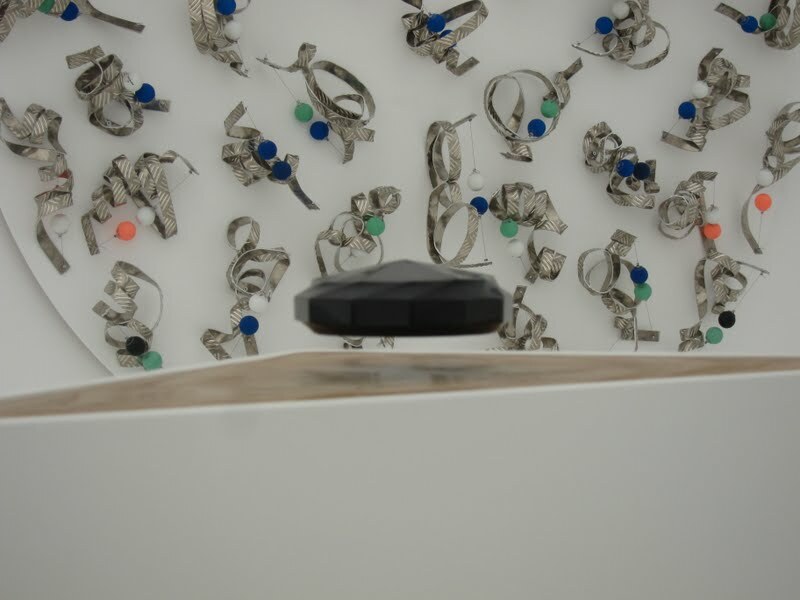 Raymond’s Three, 2011, in the foreground a black marble piece on electromagnetic levitation on the wall a detail of Wall Strings # 3, 2011 in aluminum, nylon xtreme, ping-pong balls, neodimio magnets, suckers 200x200cm.